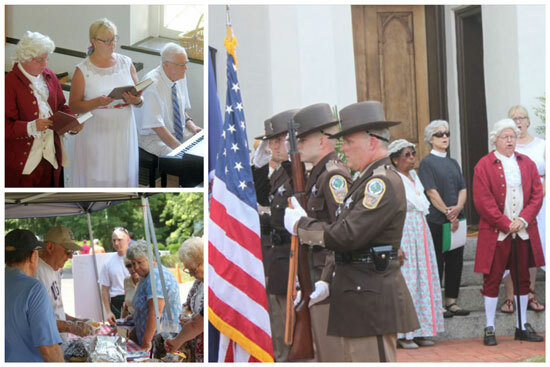 Outreach is a monthly ministry and reported at the annual congregational meeting in January. 1. 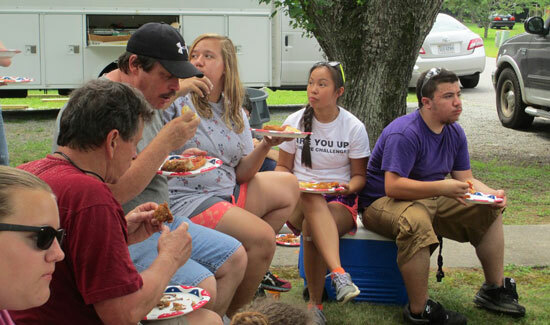 Village Dinners are held on the first Wednesday of each month for the Church and the Village as a form of Outreach. They are served at the church and also are packaged to go. 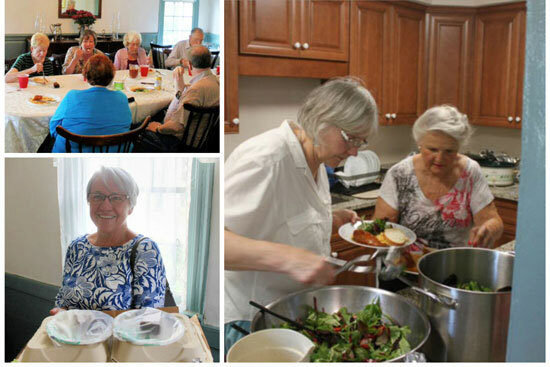 They also provide home-cooked dinners to parishioners under medical care and have organized a casserole ministry. 2. They sponsored the Community Dinners in 2011-2012 which later became the Village Harvest in 2014. 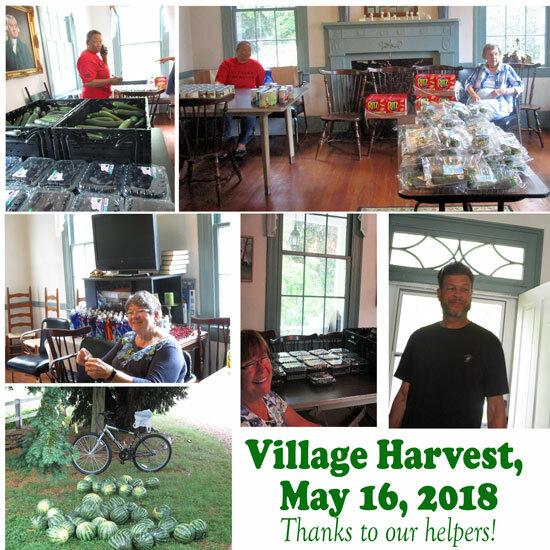 The Village Harvest is a monthy food distribution which encompassed local counties and the village of Port Royal. The food is distributed market style. 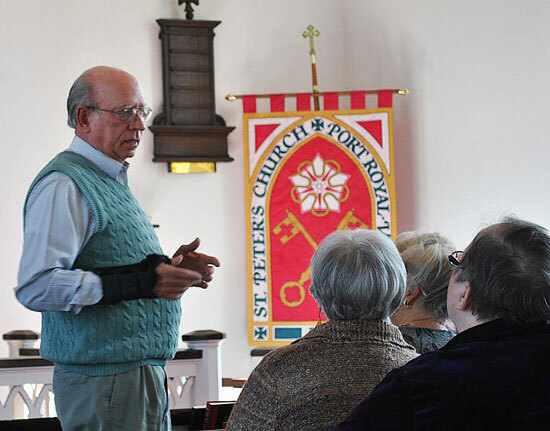 Food is provided from parishioner donations as well as from the Northern Neck Food bank. It is a full day to organize this on the 3rd Wednesday of each month, 3:30pm-5pm. B. In December we provide food and assistance for the Port Royal Christmas celebration. C. We provide events for the Trailer Park during the year, pizza gatherings and games. 4. 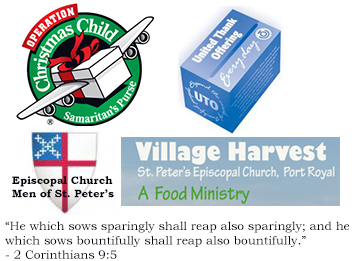 We have sponsored the Season of Giving in November and December which raises funds for international charities, Samaritans Purse, UTO as well as local ones , Village Harvest and the families supported at Thanksgiving and Christmas by the ECM, the Episcopal Church Men. 5. Hunters for the Hungry – donation of processing costs for venison to bring it to food shelters, soup kitchens, and food banks. Johnny Davis described his work with “Hunters for the Hungry.” This is coordinated through Essex Baptist. Hunters store the deer in a truck with Champlain. The Baptists pick it up and deliver to the butcher who prepares it and returns it to the Baptists which later distribute it. St. Peter’s provides a donation for the work and Johnny delivered 550 pounds to Caroline Social Services which took a freezer and 1/3. you sent provided our fun ice cream dessert (sundaes) on the 4th of July! 7. We have collected funds for national events. Johnny Davis spoke to the Church in August, 2011 about the crisis in Somalia with an effort to gather funds. We have a Somalia page with detailed information on conditions. We also contributed funds to the Region One effort to improve toilets in Haiti. In 2017, we collected funds through Episcopal Relief and Development for Hurricane Harvey which struck Houston. 8. Jail Ministry . In September 18, 2011 this announcement suggested a new outreach ministry – "Reach out to inmates in the Peumansend Creek Regional Jail by serving as a volunteer to help lead a Bible study." This ministry was held on the first Thursday of the month until early 2017 when the jail closed. 9. Marilyn Newman is part of the "Paws to Read" group It is a very simple concept: Children read to dogs. The dogs listen and don’t tease, laugh, or judge the child. Through Paws to Read, schools have created a positive, nonthreatening, fun environment for children in both the classroom and public library setting. 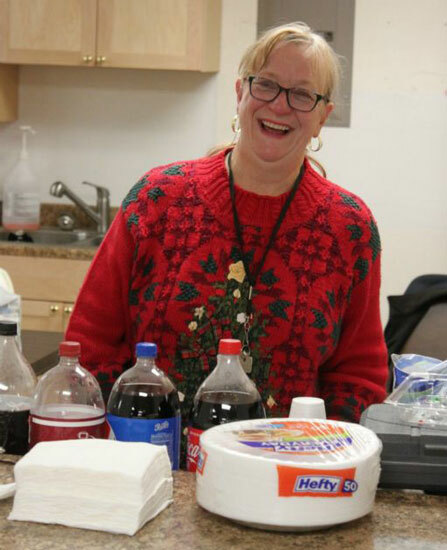 She presented a Christmas fundraiser selling swags and wreaths for Christmas. 10. Members of the parish also donated monies for NetsforLife to help people combat malaria in sub Saharan Africa.